I got my phone a week ago and i noticed that when my screen is turned off no notification appear on my lock screen. if i unlock my phone every notificaion is showing up. It's looks like when my phone is locked no app is running in the background. i didn't turned on "Don't Disturb" mode. Welcome to Android Central! First, make sure you have your lockscreen notifications set to show all content. 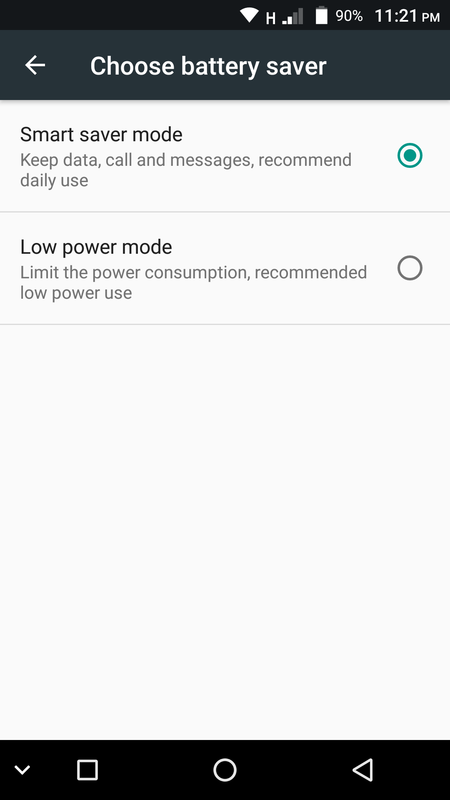 Next, make sure any power-saving modes are turned off, as well as any Data Saver or Restrict Background Data option. If you have any 3rd party battery saver or "RAM booster" apps installed, uninstall them. Thanks for the reply. This is my power saving options https://i.imgur.com/H6Y8cdC.png i can't turn off power saving i only have this 2 option. What about the other things I asked about? Some of these phone manufacturers can be pretty aggressive when it comes to RAM management (like Huawei). Look for a Battery Optimization menu, probably in the Settings>Battery menu (or possibly the Settings>Apps menu), and see what happens if you turn off optimization for some of the apps whose notifications you want to see on the lockscreen. Hi Friend, have the same problem, i've been talking with leagoo support but ddin't get a prpert answer yet, did you could have a solution? trying to lister a son at spotify is almost imposible... so bad. Thank you and enjoy leagoo. how do I mass delete certain numbers in my call log without deleting the contact? How can I set up unique notification sounds for text messages on my s9?